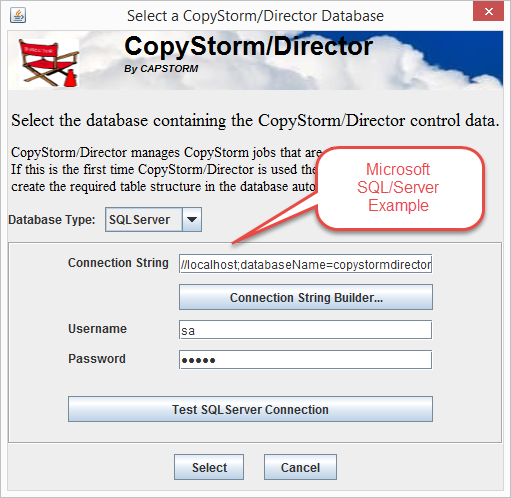 Installing CopyStorm/Director does not touch any system files or registry values — you should not need an administrator. CopyStorm/Director uses a database to store information about jobs, schedules, and status. 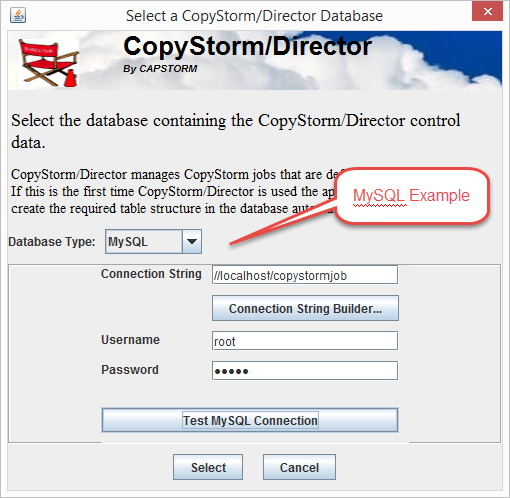 Before using CopyStorm/Director this database must be created. Capstorm recommends creating a database and a database user for the sole purpose of managing CopyStorm/Director data. What “creating a database” entails is slightly different for the various database engines but a DBA will know what to do. Download CopyStorm/Director from www.capstorm.com or from the link sent to you by Capstorm. Unzip the downloaded file into any directory. 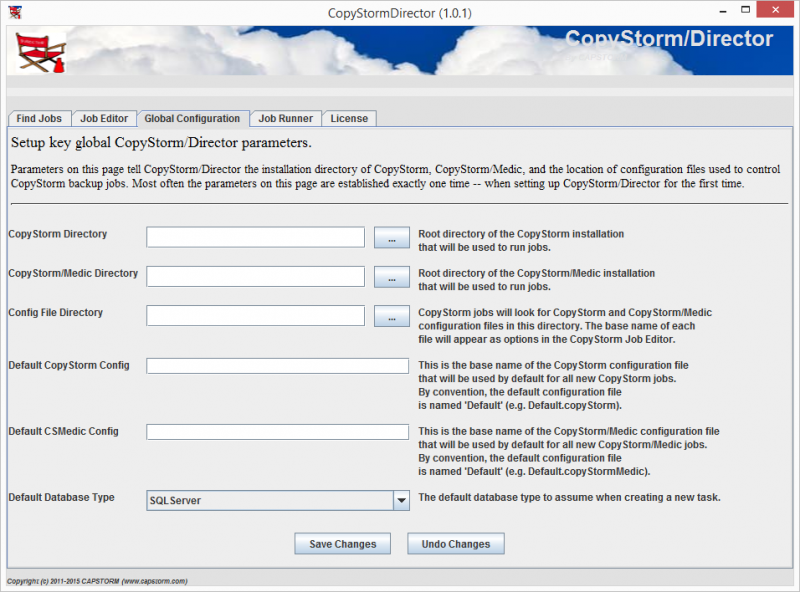 A single directory named CopyStormDirector will be created. 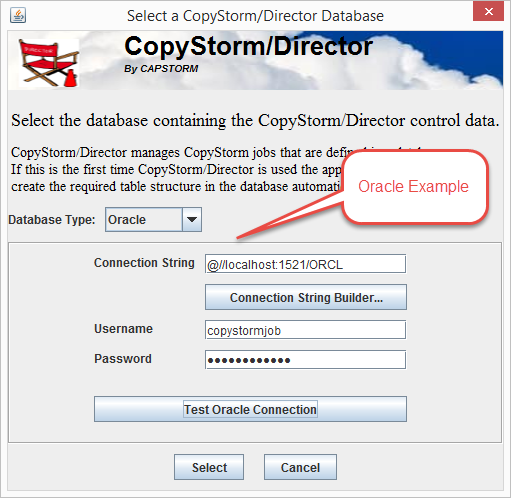 After a successful connection the CopyStorm/Director tool will appear, with the Global Configuration tab selected. At this point you are ready for CopyStorm/Director Global Configuration.